While the weather is still clear, autumn is the perfect time have your deck refinished It is likely that you got a lot of use out of your deck this summer, and it might be looking weathered and aged. After providing you with lots of good times over this last season, it is time to give your deck a much-needed face-lift. Take advantage of the beautiful weather the autumn season offers and refinish your deck. 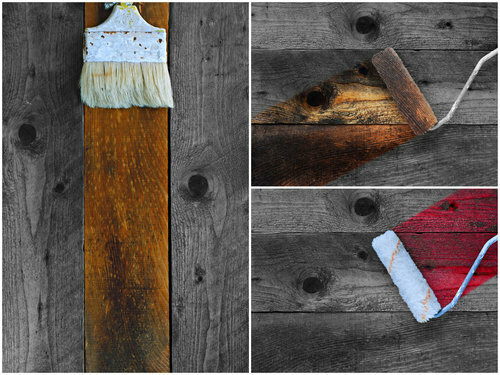 The following are six important reasons to refinish your deck before winter. In the fall, the temperatures are perfect for refinishing your deck. The scorching heat of the summer has past. In the summer, the weather is hot and some days are not suitable for long hours of physical work. Similarly, winter days are just too cold to spend an extended period of time outside. Fall days are crisp and perfect for working on a project outside. The temperature is still pleasant, and it is neither too hot nor too cold to accomplish the job as quickly and effectively as possible. Refinishing a deck requires dry weather. Although spring temperatures can be pleasant, the weather is often unpredictable in many parts of the country. There might be ongoing rain storms that hold up the work from getting done. Decks need at least 48 consecutive hours of dry weather for their stain to cure and dry properly. You have a better chance of having the optimal weather for refinishing your deck in the fall when the weather is more predictable, and it is less likely to rain. Most people use their decks a lot in the spring and summer. When the weather is temperate and families want to spend time outside, the deck can become an extension of the home. Since the deck is so heavily used in the spring and summer, it is subject to a lot of wear and tear. 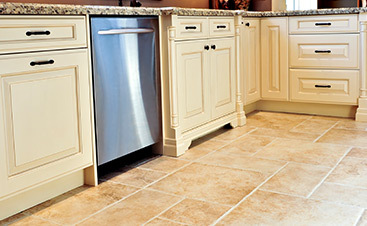 Often, the deck is the victim of spills, scuffs, splits, and other signs of heavy use. Do not let the deck wear these marks as a badge of honor. It is better for the health and longevity of your deck to refinish it after it has been used heavily, before the bitter cold of winter sets in. That way, it will be good to go once the winter is over and you are ready to use your deck again in the spring. Not only does your deck get damaged from regular use in the summer, but it is also constantly exposed to the blazing heat of the sun. After months of the sun beating down on the deck, the wood can become faded and tired-looking. 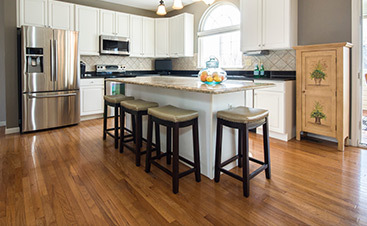 The fading can be so gradual that homeowners do not even notice that it is happening. Then, at the end of the summer, it becomes evident. Taking time in the fall to refinish your deck will bring the deck back to its original appearance and renew its beauty. Moisture of any kind is bad for the wood on your deck. Not only do you need to worry about rain, but you also need to be concerned with humidity levels. Humidity in the spring and summer months can provide enough moisture to ruin the stain on your deck. Fall is far less humid than spring or summer, so it provides the perfect weather for refinishing your deck. So, even though you might be thinking that a warm summer day is the best time to get outside and work on the deck, you might be wasting your time. The humidity level can destroy the fruits of your labor. In many areas of the country, the winter months can be harsh. Your deck is exposed to the unrelenting weather 24 hours a day, all season long. Anything that has constant exposure to the elements is bound for trouble if it is not properly cared for beforehand. Refinishing your deck in the fall will provide a layer of protection for your deck that will allow it to withstand the bitter cold and snow that accompany the winter. When the spring comes, the deck will still look good. Weather is an important factor to take into consideration when you are refinishing a deck. Fall provides just the right combination of dry air and cool temperatures. Taking advantage of the fall weather and refinishing your deck before the harsh winter weather comes will pay off when the spring comes and it is time to start using your deck again. 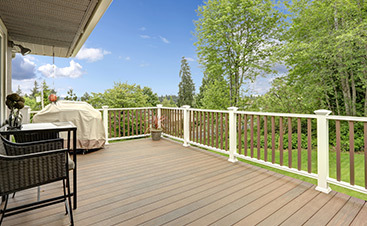 If you have questions about refinishing your deck, contact a local professional to help you.